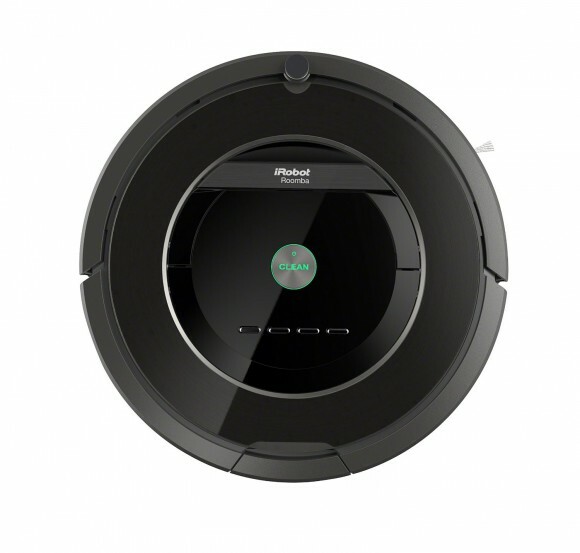 Although the iRobot Roomba 650 and 880 have some similarities, they are by and large, two very different robot vacuums. They will both do a good job at cleaning the floors in your home but the 880 will outshine the 650 in virtually ever way. Some of the latest in robot vacuuming technology has been implemented in the 880 and it shows. The upgrades over the 650 consist of remote control capability, new motor, additional sensors, new extractors, infrared virtual lighthouse capability, and a new battery. 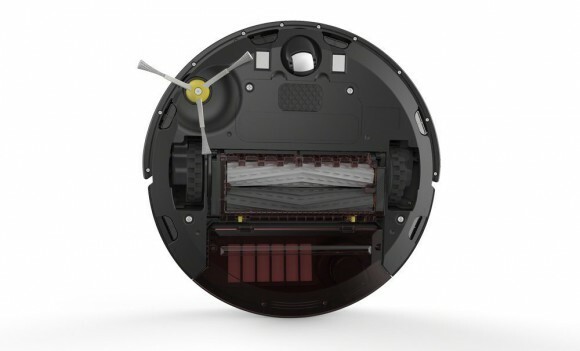 All of these changes in the Roomba 880 work in concert to clean your home significantly better than the 650 model. 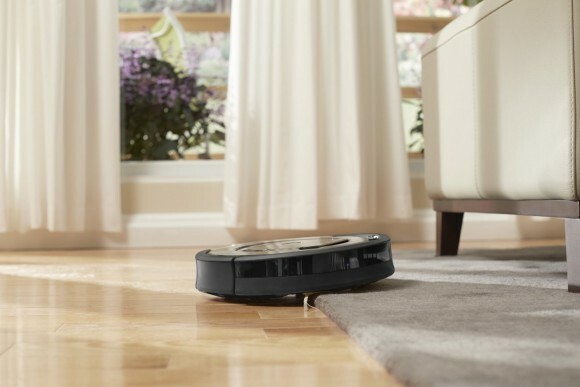 Here is a list of the similarities and differences in the iRobot Roomba 650 vs 880 models. Both of these robotic vacuum cleaners have integrated scheduling features. The user can tell the robots exactly what days and times to operate so they clean their homes when they’re not present. Cleaning can also be started using the Clean button on the top of the Roomba. The Roomba 650 and 880 can both handle many different household flooring surfaces such as carpet, rugs, tile, laminate, hardwood, and more. They recognize when they transfer onto a new floor surface and will adjust accordingly. iRobot’s 3-stage cleaning system is used in both of these robot vacuums. They will agitate, brush, and suction dirt and debris off the ground. Spinning side brushes are used on these units to get into corners and clean moldings. They get into areas that the Roomba isn’t able to pass directly over. These Roombas utilize acoustic sensors to detect areas that need more attention. This ensures that they spend more of their time where it is needed. At a height of 3.6 inches, these automatic vacuum cleaners can get into those hard to reach areas like beneath furniture and bedding. They get into areas often overlooked by us or viewed as too cumbersome to get into. The iAdapt Navigation System equipped on both of these units allow them to account for any objects that may be in their path while vacuuming. Both of these Roombas can detect when they are nearing a staircase or ledge. As a result, they will turn around to prevent causing any damage to themselves. Infrared Virtual Wall Sensors are included with these units to keep them out of certain rooms. They provide an artificial barrier to prevent them from entering. When these robot vacuums sense they’re running out of battery, they will automatically go back to their charging stations to charge up. If they haven’t completed their scheduled cleaning session before running out of battery, they will resume once they are fully charged. The first difference between these units is that the 880 has remote capability with the use of its new remote control. 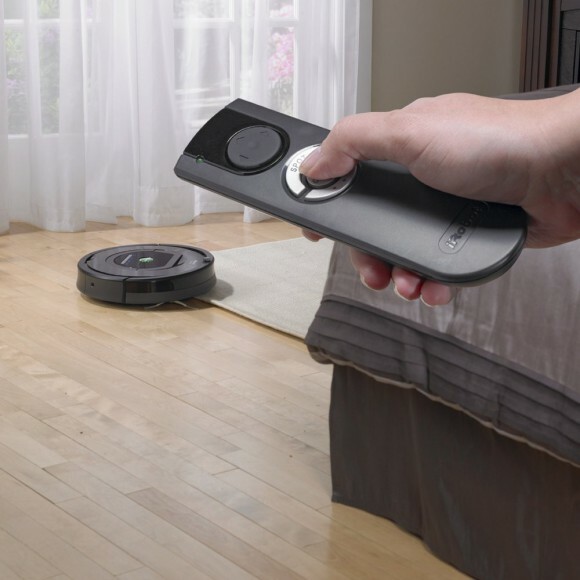 This remote can be used to alter the Roomba’s settings, initiate a cleaning session, or manually control Roomba around your home. 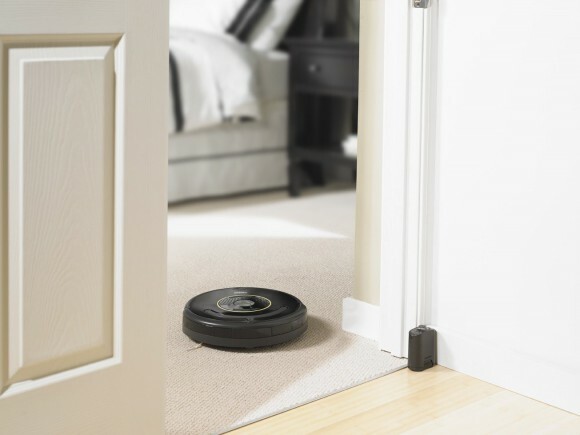 A new second generation motor has been implemented with the Roomba 880. This motor is capable of producing 5 times more power and up to 50% more cleaning performance compared to the first generation motor used in the 650. 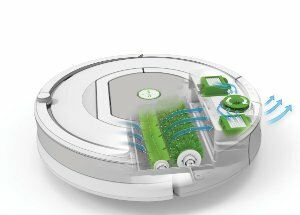 In addition to the acoustic sensors used in both of these Roombas, the 880 has now included optical sensors to enhance its ability to find areas that require more attention than others. This enhances the 880’s ability to find the dirty areas in your home and allocate time accordingly. 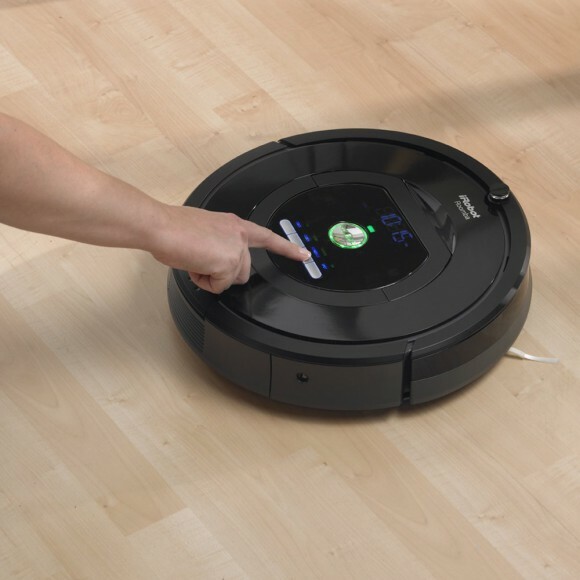 Whereas both of these units have virtual wall capability to make artificial barriers, the 880 introduces a virtual lighthouse mode which keeps the Roomba in a certain area for a specified amount of time. This ensures that the current room has been thoroughly cleaned before it goes into the next one. New rubberized extractors in the 880 have replaced the brush used in the 650 model. These extractors are more capable at lifting dirt and debris and require less manual intervention. Finally, the 650’s nickel–metal hydride battery has been replaced with a much better lithium ion battery. This new battery in the 880 allows for twice as many charging cycles before replacement. Both of these robotic vacuum cleaners come with stellar reputations. Customers are very pleased with what they’ve purchased and have taken to the internet in droves to express it. People love just how little human interaction is required with these vacuums to keep their houses cleaned. They set their 7 day schedule and just empty the contents as needed. Pet owners and allergy sufferers have reaped some of the biggest benefits from these robot vacuums as the amount of hair and allergens has been greatly reduced. 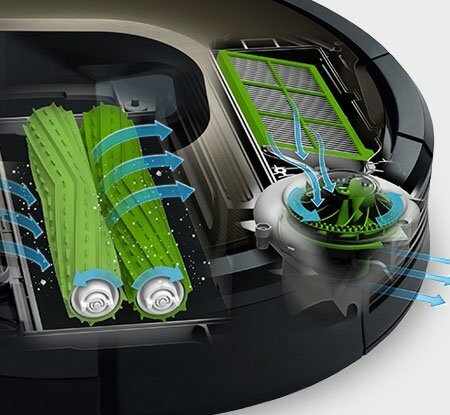 Those who have owned the Roomba 880 in addition to other models state that the 880 is well worth the additional money. 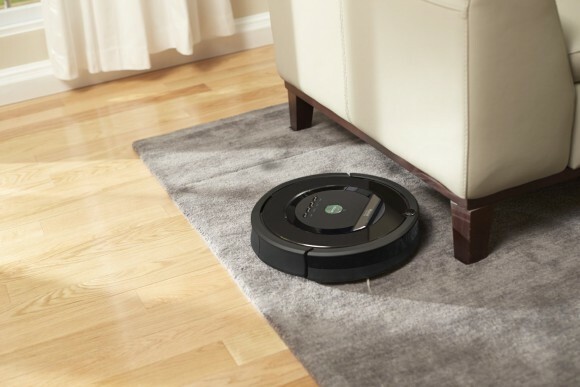 The second generation motor coupled with the new optical sensors and extractors allow the Roomba 880 to clean their floors far better than any of its predecessors. Owners of the 880 have also stated that the lighthouse functionality of the new infrared sensors results in a much better cleaning. They like the fact that the robotic vacuum cleaner spends time cleaning in one room before moving onto the next. Both of these automatic vacuum cleaners do a tremendous job at cleaning our homes. They go about their business when you’re not around so you can come home to squeaky clean floors every day. However, the 880 has proven to be the much better purchasing decision. It’s updated technology over the 650 allows it to clean much better and require less human intervention with its new rubberized extractors. If it’s within your budget, you will not regret going for the 880. It will pay cleaning dividends in the long-run. 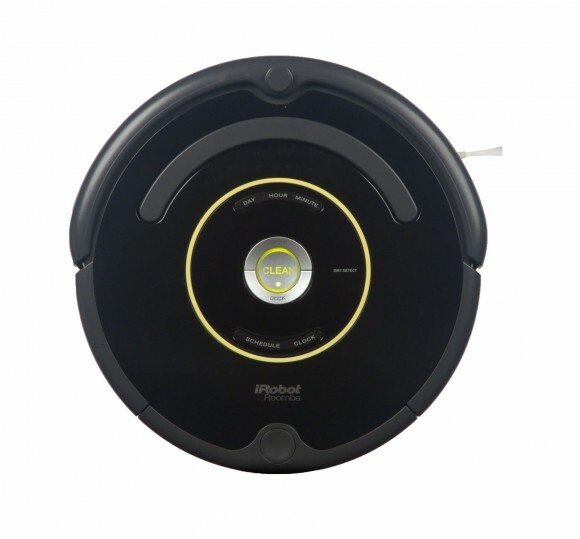 Therefore, in the iRobot Roomba 650 vs 880 battle, the 880 is the definitive victor. Please feel free to share or leave comments below! I have always considered buying one of these but there has always been something that has told me “no” but truly the reason I would be buying one is reasons of laziness haha. You won’t regret it if you do. 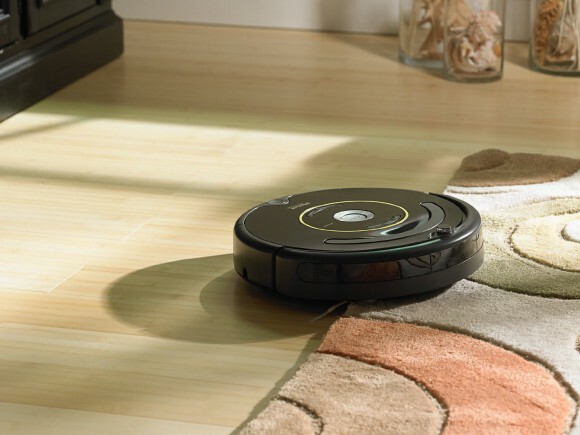 Once you have a Roomba, you’ll wish you’d purchased it sooner. I don’t think I could go back to living without one. I’m so glad I read this article comparing the Roomba 650 to the 880. We used to have a Roomba many years ago when they first came out. We really liked it but it was definitely not as good at cleaning as a regular vacuum. I’m sure they have come a long way by now! That is really cool that you can schedule them to clean at certain times. Really automates a lot of household cleaning! The newer Roombas have come leaps and bounds since the older ones. The 880 is a fantastic unit and does a spectacular job at leaving your home spotless. Thanks for stopping by! That’s a very valid question. There is an indicator light located on the top of the Roomba to tell you when the collection bin needs to be emptied. The frequency of collection bin emptying varies based on a number of factors such as whether you have pets, number of people in the household, size of the house/apartment, etc. However, it won’t need to be emptied as often if it is cleaning on a daily basis. If you were to go away for 1-2 weeks I would recommend turning the unit off. The collection bin would definitely be full by the time you get back.